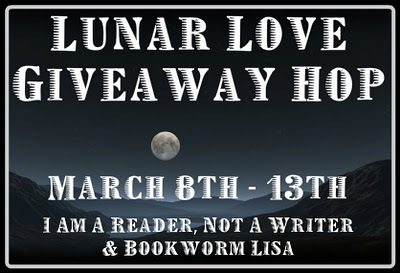 Literary Obsession is taking part in the Lunar Love Giveaway Hop which is being hosted by Kathy @ I Am A Reader, Not A Writer & Lisa @ Bookworm Lisa. This giveaway is international to the countries on The Book Depositories ship-to list! Check the list here. If your country is not on the list, I’m afraid I can’t ship to you due to incredibly high shipping costs.